The Clansman Hand Generator is used with the Clansman back-pack radios such as the PRC-344, PRC-351, PRC-352, PRC-320. 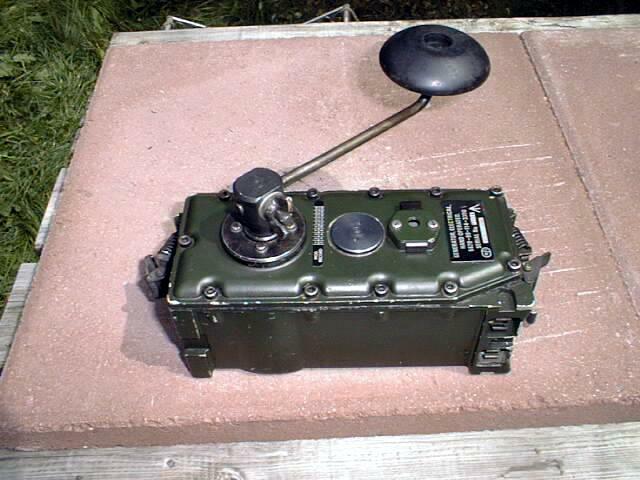 It clips on between the radio and the battery and by turning the hand crank it generates 24 Volt DC for charging a standard Clansman 24 Volt battery to operate the radio. An indicator lamp lights up to indicate when the hand crank is being turned at the right speed. NSN: 5820-99-114-3390. Supplied in good condition.